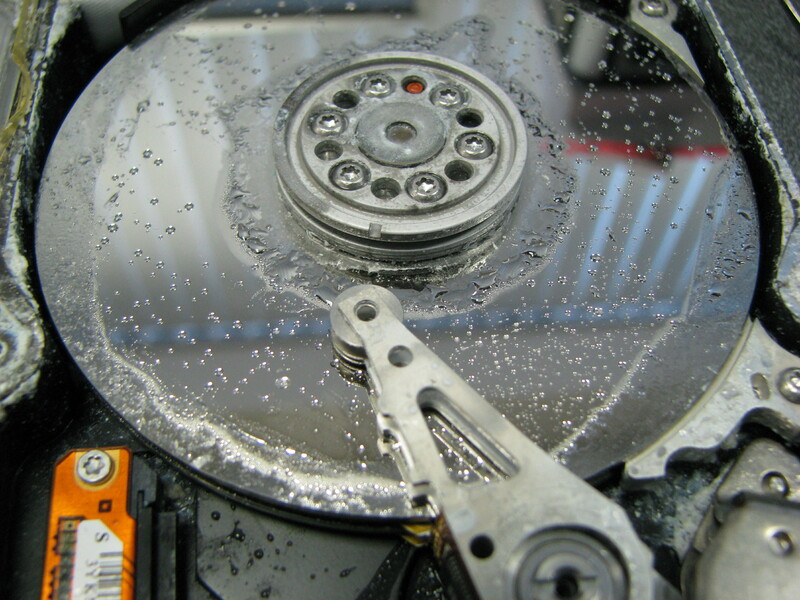 At CDS, we handle a large number of liquid damaged hard drives each year. We would like to give you an in-sight into what is involved in recovering data from such devices. Depending on the time of the year and mother nature, we see flooded drives that have been submersed in river or sea water for prolonged periods. We also handle drives that have suffered fire damage and subsequent water damage from fire-fighting efforts. In the vast majority of cases, the only significant damage is to the Circuit Board (PCB) on the drive. Specific components can fail and/or corrode. 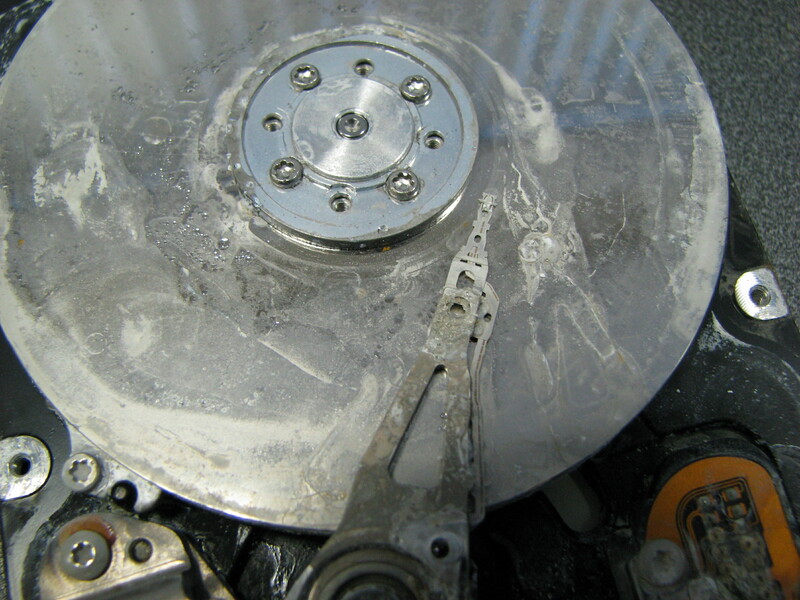 The first stage in recovering these drives is the decontamination of the drive. We remove the PCB and clean it in an ultrasonic bath with a specialised liquid formula, followed by deionized water. Once cleaned and dried, the PCB is inspected for component damage. With modern drives, it is no longer possible to simple “swap” the board from an identical drive. Modern drives store “adaptive” data within surface mount chips and this unique data must be transferred to a new PCB. If this is not done, the drive will spin but it will never initialise fully and the data area will not be accessible. The drive body is cleaned externally and once dried, it can be opened in our Class 100 clean-room for internal inspection. The top cover of all drives has a “breather hole” to regulate air pressure inside the drive chamber. This breather hole is protected by an air filter with a desiccant pad to absorb moisture. If a drive has been subjected to external moisture or “minor” liquid damage such as spillage of coffee across a laptop, it is highly unlikely that any moisture will have entered the drive chamber. The breather hole is very small and the filter prevents any moisture ingression. This drive had suffered extreme water damage and has been badly corroded internally. Despite our best efforts with this drive, it was not recoverable. This drive was in a laptop that had been maliciously damaged and then thrown into a river. The platter had been damaged prior to the water submersion. was intact and largely unaffected. The drive was thoroughly cleaned and the platter was swapped into a new housing. 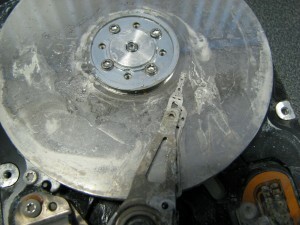 The heads and associated components were replaced and the drive was successfully recovered.